Little is known about the lived experiences of patients with metastatic melanoma undergoing checkpoint inhibitor treatment. 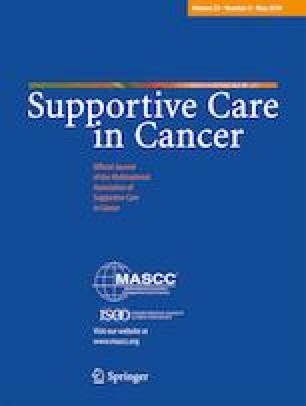 We conducted a feasibility study of a supportive care intervention for melanoma patients being treated with pembrolizumab. Here, we report a secondary objective of the study, which was to explore the lived experience of being on pembrolizumab treatment for advanced melanoma. Twenty-eight participants with metastatic melanoma were recruited across two cohorts, all receiving 3-weekly immunotherapy treatment. Semi-structured interviews were conducted with 26 participants once at 9 weeks. Thematic analysis using interpretative phenomenological analysis (IPA) was performed with multiple iterations of data review to achieve consensus. Three overarching themes were identified; here, we report the first and most dominant theme: how metastatic melanoma patients live within uncertain spaces. Although immunotherapy increases overall survival, metastatic melanoma patients live within an uncertain spectrum. They confront uncertainty related to immunotherapy treatment, their disease trajectory, family relationships, and decision-making. Melanoma patients attempt to normalize their lives, engaging in their usual activities. Uncertainty increases prior to active treatment and intensifies during investigation phases. Despite progress in melanoma patient treatment and outcomes, these patients face sustained uncertainty about their disease trajectory. The online version of this article ( https://doi.org/10.1007/s00520-018-4443-3) contains supplementary material, which is available to authorized users. The authors would like to thank Corrinne Renton, Research Officer, Centre for Medical Psychology and Evidence-Based Decision-Making, Sydney Medical School, University of Sydney, for database design, management, and technical support; Theresa Nielsen for assistance with participant recruitment and coordination; Alex Pereira and Charlotte Davies for assistance with data entry; and Alison Sibley for administrative support and the supportive care and integrative oncology team at Chris O’Brien Lifehouse for clinical input. The data generated as part of this study remains the property of the investigators. It is available for inspection on request. This study was funded through an educational and research grant from MSD, administered through Chris O’Brien Lifehouse. Anna Lomax was supported by the Simon Kerr Fellowship. Catriona McNeil received travel, conference, and accommodation support from MSD; has sat on MSD advisory boards; and has given talks for MSD and BMS (honoraria to Chris O’Brien Lifehouse). Steven Kao received honoraria paid to his institution from Boeringher, Astrazeneca, Roche, Pfizer, BMS, and MSD. Steven Kao has had travel costs paid for by BMS, Roche, and AstraZeneca. Haryana Dhillon has received honoraria paid to her institution from MSD. Judith Lacey has received honoraria paid to her institution from TEVA and MSD.